I know many of you are anxiously waiting for the big photo shoot reveal- which we promise will be coming soon! 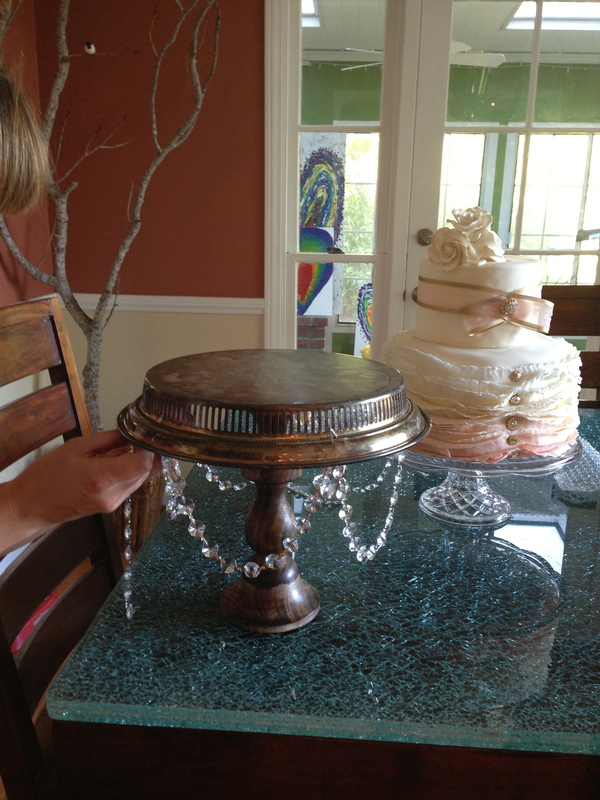 But in the mean time, wonder how we made that adorable cake stand? We shall show…. 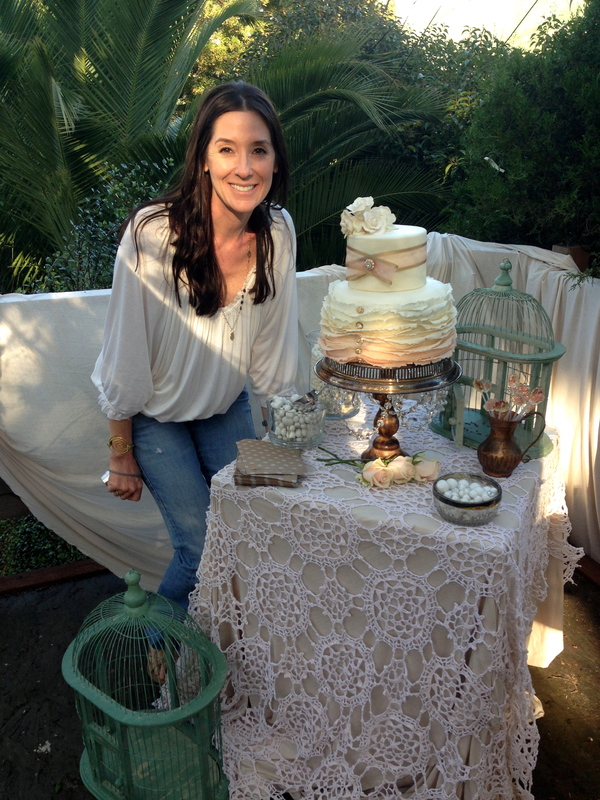 Next, we didn’t want this to be permanent but we did want the cake to be stable! 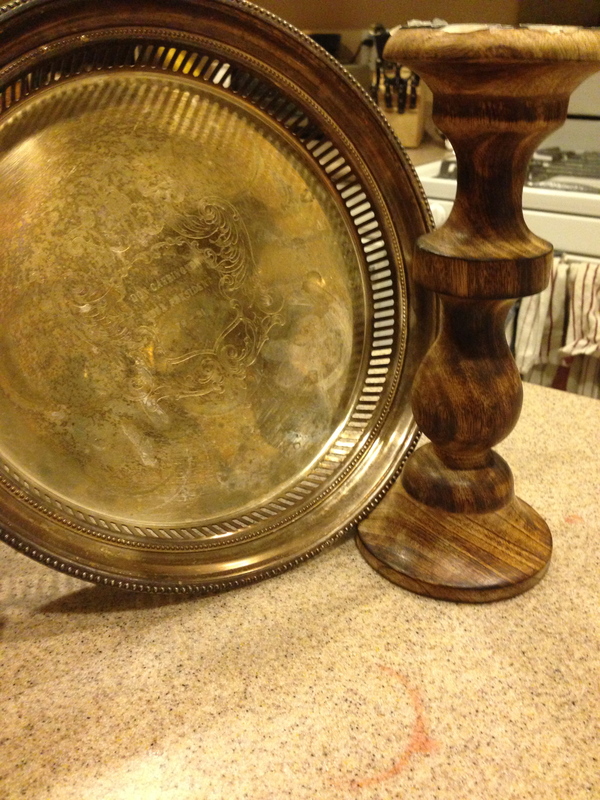 So with that we knew it was time to bust out the museum wax- let me tell ya this stuff works great!! 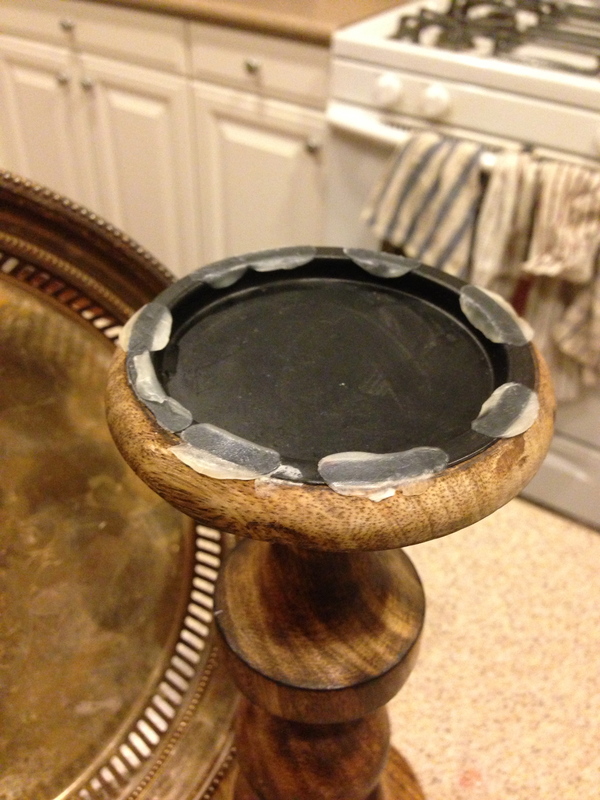 We placed it all around the top of the candle stick…. 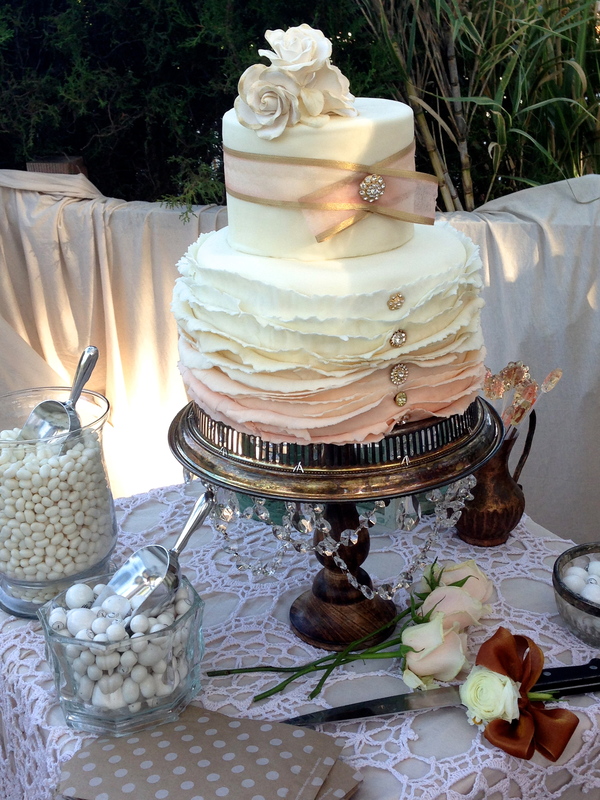 By the way, did we mention that the inside of the cake is a peach ombre? Yep pretty gorgeous!